APIs for shipping and logistics are becoming the most popular tech practice among businesses of all sizes focused on integrating shipping functionality into web or mobile solutions. In recent research conducted with 200 supply chain managers, 55% of the respondents believe APIs is a practical option to function in real time. They can help businesses to coordinate and streamline their outgoing shipments to serve customers better with features such as quoting, bulk editing and printing of shipment information, tracking and confirmation notifications, etc. That’s why if you want to establish and keep a solid competitive advantage, you will need to integrate API in your logistic software solution. Open shipping and logistics API: what is it and how does it work? Open or public APIs are published on the internet and shared changelessly. They provide companies with splendid opportunities to integrate shipping functionality directly into their systems or any other software solutions. Also, business companies can customize the shipping and logistics application programming interface (API) in accordance with their specific business to improve fulfillment and increase productivity. APIs enable two systems to interact with each other and display this information to a user in a single interface. Resources refer to what information the API can provide. Methods are the allowed interactions - GET used for retrieving resources, POST used for creating resources, PUT used for changing or replacing resources and DELETE - for removing a resource, if necessary. Parameters are criteria you couple with the endpoint to specify the response format. Sample request and response objects give you an idea of what inputs and outputs should look like. For the most part, shipping APIs are the bridge that connects businesses with shippers and customers. 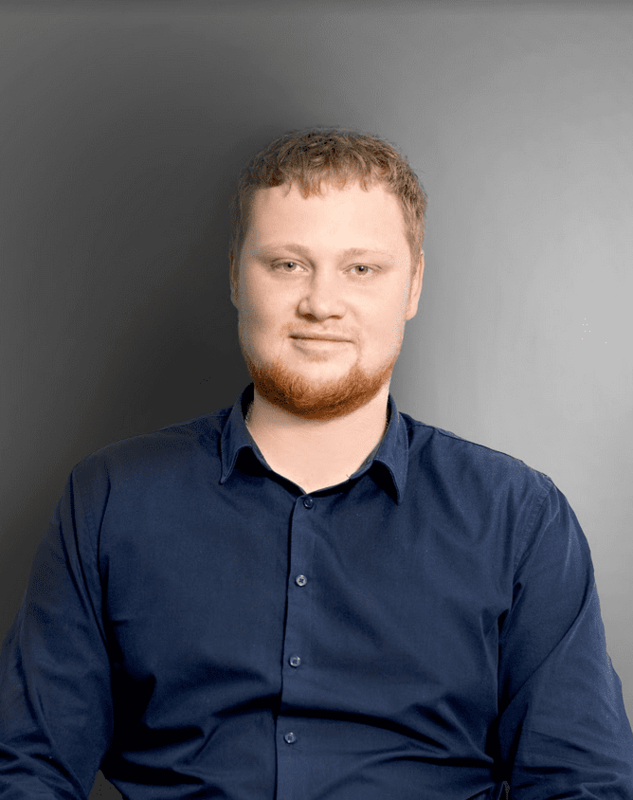 Integrate the shipping API into the system enables to deliver some important information to the users, such as available rate or delivery options. How are APIs used in the real world? Here’s a very common scenario - shipping a parcel. If you need to send a package, you should select the following options: departure and delivery city, zip code, number of packages, weight, length, height, width. Based on that information you update quote and get results. 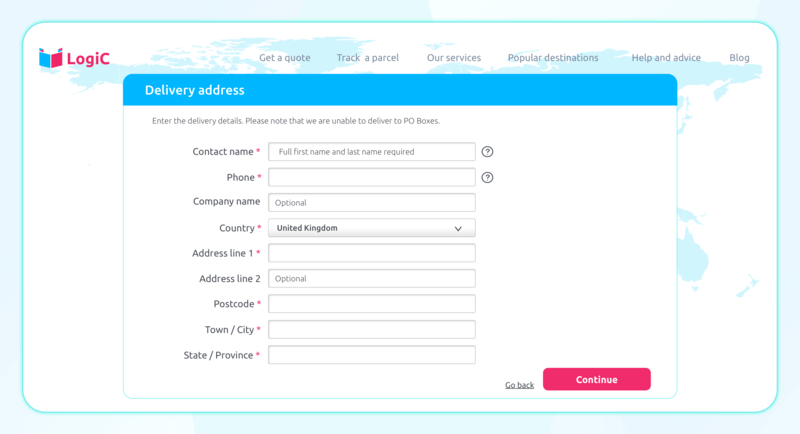 To ship the package, you need to interact with the carrier website to get a quote, send a parcel and track it. You need access to that information from the shipping carrier database, whether you’re interacting with it through the website or a mobile phone. That’s why your system should interact with the shipping carrier’s API that gives it access to the data. The API is the interface that runs and delivers the data from the system you’re using to the shipping carrier’s systems over the Internet. It also then takes the carrier’s response to your request and delivers right back to the system you’re using. Moreover, through each step of the process, it facilitates the interaction between the system and the shipping carrier’s systems from getting a quote to payment and tracking. 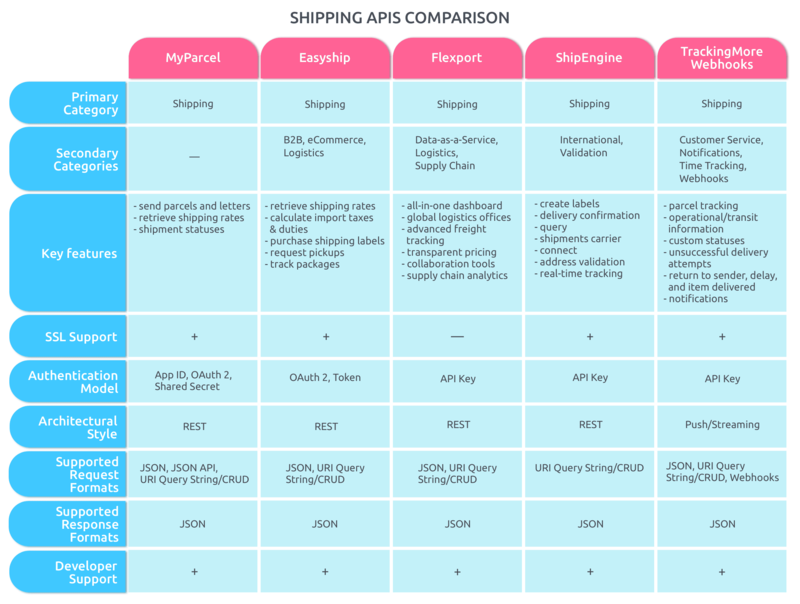 What value does the shipping and logistics API deliver: whether it is distributing data or specific functionality? Who will consume the API: whether consumers are interacting with your API to get access to data or are they consuming it on behalf of other users? How many consumers will the API have? Is it a private API consumed internally or is it available to potentially millions of consumers? Answering these questions will help you save time and money during the implementation process. Let’s start with understanding what you are trying to enable with your API so that you can define which methods and protocols you’re going to use. Following the desired functionality and selecting the most appropriate standards and protocols help to define methods and endpoints for your API. The most common endpoints are addresses, parcels, rates, shipment, list of shipping methods, etc. Also, identify the target audience (potential consumers), the type of data manipulation your main API consumers usually have available. If your audience is mobile-oriented, focus on offering end-points that ask for and respond with as little information as possible to prevent massive bandwidth consumption and speed up operations. Shortly, the idea is to determine the target audience and what 85% of your target audience is looking for and deliver that. whether it is a one-time setup or required ongoing interaction. Secure authentication. Each API endpoint authentication methods should be managed. The task at that step is to identify the authentication mechanism the endpoint will use (e.g., OAuth, SAML, JWT) and the workflow required by the endpoint(s). Data fit. When transferring, there is a need to make sure this data is in an acceptable format to the other end-point. That’s why things like date/time/field size limitation should be relevant. Volume&Speed. Integration makes sense if the data can get to the other system promptly. The volume of data that needs to be transferred needs to be balanced with a rate of data transfer and the time that the data is needed to be in place. For example, if an organization will like to have all of its sales orders integrated by the end of each business day; then the number of orders and the rate of data transfer will determine if this goal is possible. CRUD(S) model. It stands for Create, Read, Update, Delete. That means the system needs to know what to do with the information when sending it to the system. Whether you may need to create shipping order, read, update or delete data from the end-point to deliver a seamless integration experience for the user within your logistics system. In a nutshell, data mapping is the process of mapping data fields from a source file to their related target fields. The amount and complexity of databases, types of data that have to be united makes data mapping a critical function to extract the most value from your data, and exact the most accurate insights from it. That’s why do the mapping yourselves on-premises or use other tools that are available today. Your logistics software solution may utilize different data formats such as date, time or other forms. Transformation services may be required to translate the data between your solution and the endpoint’s data structure to ensure the integrity of the data. As with data mapping, your application will need to persist the transformations for each instance of an API end-point that your app is connecting with. It is also essential to determine if you need to sync data between your system and the endpoint. That enables you to just automate the workflow and keep your system updated with changes at the endpoint: whether new data being added, deleted or modified. You will also need to identify how to handle notifications or alerts from the endpoint regarding API changes. It helps to assure that API integration works exactly as intended and meets the requirements of the end users. It is ideal to have test environments for the applications you are connecting to in order not to disrupt production environments. Moreover, note that the end user should have a lot of input in the testing process that helps to easily spot small issues and check them. 1. MyParcel API. Sending shipments parcels or letters to and from any place globally is not a problem anymore. With that API, requests to and responses have a root JSON object structure that uses the JSON API specification. 2. Easyship API. Shipping rates, calculate import taxes duties, purchase shipping labels, request pickups, and track packages can be done with that solution. Whether you are online seller, marketplace or software platform that needs to ship to any destination globally, this solution supports 100+ shipping options with up to 70% discounted rates and is available in the US, Hong Kong, and Singapore. 3. Flexport API. Offers global air and ocean freight and shipping data through their online portal. Dev team can authenticate with API Keys to access shipments, purchase orders, invoices, and products in JSON-based format. Flexport is a freight forwarder focused on air, ocean, truck, and rail carriers. Features of the service include an all-in-one dashboard, global logistics offices, advanced freight tracking, pricing, tools for collaboration, and supply chain analytics/reporting. 4. ShipEngine API. 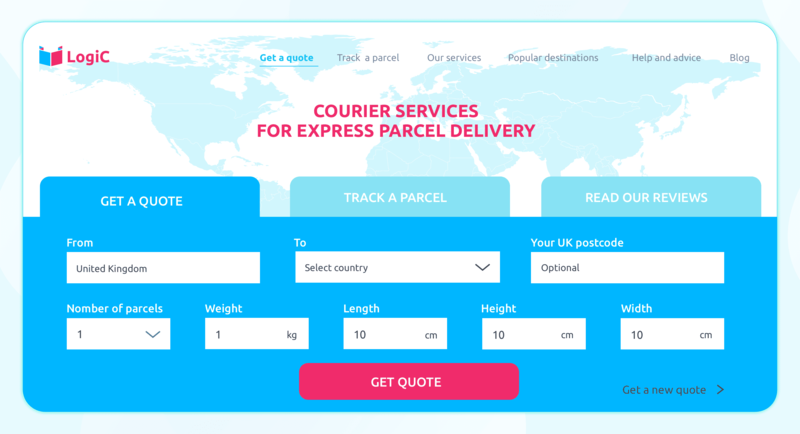 Includes 20+ supported shipping carriers and provides a way to build shipping functionality/features into an existing solution: tracking packages, creating tracking events and integrating real-time tracking information for shipments, comparing rates, validating address in the United States, Canada, Great Britain, Australia, France, Norway,Germany, Spain, Sweden, Israel, and Italy. 5. TrackingMore Webhooks API. Integrates package tracking and notifications into shipping applications that are available with JSON-based architecture. It provides a way for multiple parcel tracking, track button, with 400+ couriers, tracking APIs, e-commerce APPs, etc. E-commerce. Integrating shipping options into the e-commerce business model is vital to provide a more trustworthy and seamless experience. In fact, 46% of consumers agreed that convenience and personalization are key factors in online fulfillment, expecting retailers to offer shipping solutions to best meet their needs. That’s why by using these shipping APIs, e-commerce businesses can automate processes from the sale right through the shipping options. Automotive. The automotive landscape takes up a leading role in terms of quality expectations, product variety and process complexity. Shipping solutions are important to 34% of consumers in that sector. With shipping API, businesses can provide their automotive industry customers with comprehensive shipping services, from tracking to logistical service ticket handling. Healthcare. Currently, patients are expecting more choices from healthcare organizations. Whether they’re shipping valuable devices or time- and temperature-sensitive samples, an option for quickly getting medical items is greatly important. In fact, 53% of consumers want same-day delivery for health-care products in that sector. With shipping API integration, you can empower your business to improve service delivery and gain efficiency. Office supplies. Every company needs office supplies to run its business daily. Whether it is office equipment or print and sign services, consumers want to meet their office supply needs as quickly as possible. In fact, 26% of consumers expect fast shipping options in that sector. Floral gifting. Undoubtedly, flowers and gifts are popular ways to express gratitude or sympathy. That’s why businessmen who work in that landscape should provide shipping opportunities that definitely help them to streamline business and increase performance. Believe it or not, 31% of consumers consider flower and gift shipping services as an important option in that sector. With shipping API, you can serve your customers better and meet your customers' expectations. If you’re trying to sharpen the business by adding shipping capabilities, you should definitely focus on shipping API implementation. Let’s read what benefits it provides giving you a powerful competitive advantage. Quickly compare options. 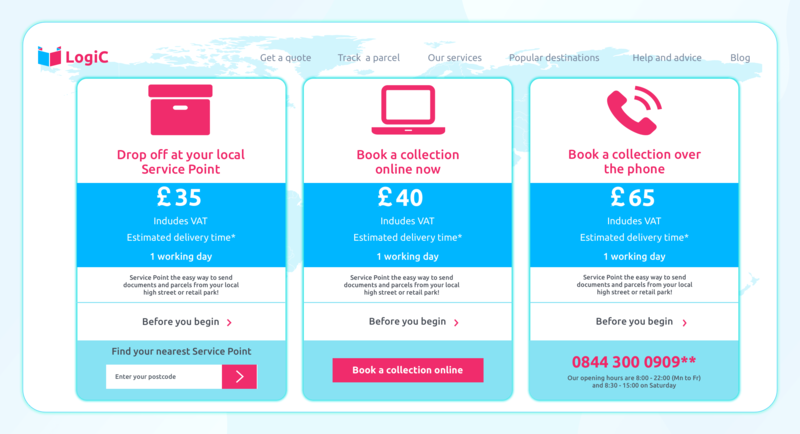 You can compare shipping rates for a given package across all carriers, immediately see available options and choose the best fit. That ultimately cuts costs and time spent manually comparing different options. Decrease checkout abandonment. Losing many of your customers at the checkout step is the most common issue. That's why using improved options and rates of the shipping API's prevents users from checkout abandonment and opens up the potential of a building a more meaningful long-term relationship with the customers. Automatic addresses validation. Shipping to the correct address is important for reducing costs and building company loyalty. That’s why with shipping APIs, you can automatically check and validate addresses preventing fees and delays for packages that were shipped to nonexistent/incorrect addresses. Delivering packages safely and quickly protects your company’s reputation and future revenue from returning customers. Speed up administrative work. Using shipping APIs, you can automatically provide the different departments with information that reduces the time employees have to spend on tedious, time-consuming shipping tasks and operations. Integrate real-time tracking. With shipping APIs, you can add real-time tracking without any delay giving access to valuable information and reducing the number of questions about package status from the customers. Increase efficiency. By using APIs, you enable to streamline internal processes and focus on what really matters to your business. Just identify your company’s core needs and direct your newly recovered resources there. Below you can find the keys to choosing an API that will suit your product or service. Let’s delve into details below! Documentation. Firstly, you should identify whether the APIs you are considering fulfill all or most of the functionality required by your product or service. Based on that information, filter the most suitable ones and check their documentation. It should be written in an easy-to-understand way with clear and useful examples that helps to avoid wasting time and effort when integrating. Interface. When reviewing the documentation, you should define whether you prefer the API to query ratings be called "getRating" or "getRat", the parameters to be "user" and "password" or "U", "P"? Also, is there a need to encrypt the information because of the security requirements? Example & libraries. Giving code examples is essential when API is complex to use. However, if we do not have a library in the language we are using, we will have to look for it in another language and perform functions that apply what that library shows to the language with which we are working. Support & community. Joining the API community and sharing your knowledge with others is vital to solving any issues regarding the API in a timely manner with a relevant solution. Final words: Are you ready to integrate shipping API into your business? Integrating powerful and rigorous shipping capabilities directly into your system is vital to business growth. Your customers will enjoy the depth of shipping services while your business becomes more efficient with improved processes. We, at DDI Development, have a vast experience in delivering a wide range of software solutions. Let us know and we will help you to turn your idea into a real solution that drives revenue and increases efficiency.